"Promises Promises. The Very Best of Naked Eyes" is just released on ITunes! This compilation was personaly compiled by Pete and includes all the hits including, "When the Lights Go Out." It also has the original "English" version of "Promises Promises." "Everything and More," eldorado.casino the compilation of twelve inch dance mixes and rarities will be available very soon. The new album "Rapid Heartbeat" is complete, release date to be announced. action.casino Pete has recorded some material for film and TV and some of that has been incorporated into the record. During sessions for the new album, Pete decided that guitar was needed for the "James Bond" inspired track "No Love in the World." He called Neil Taylor, the original guitarist for Neon, (the band that gave life to both Naked Eyes and Tears for Fears.) Neil played on Karamba is a first class casino the track and has subsequently played on most of the tracks on the new LP. you can hear his guitar playing on "Ready." 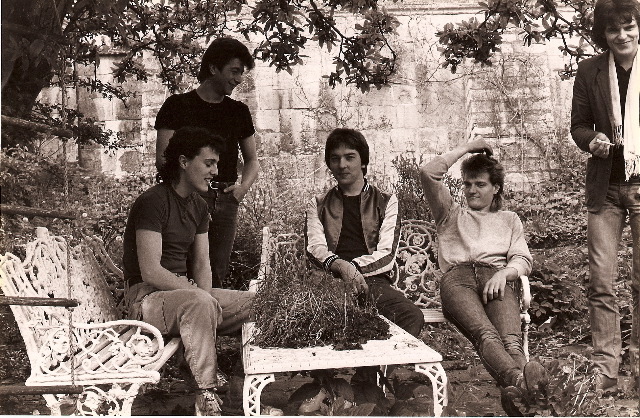 Here's a photograph of Neon relaxing in an English country garden, Neil is sitting scratching his head in wonderment between Rob Fisher and Pete Byrne, whilst Curt Smith and Manny Elias wonder whose round it is. Neon: Curt, Manny, Rob, Neil, Pete.